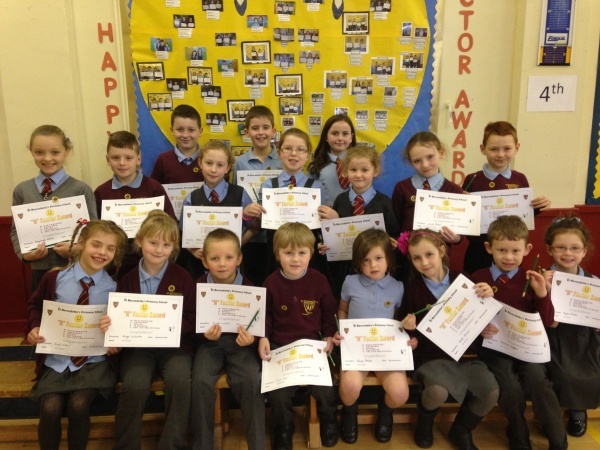 Well done to all our H Factor Award winners! The children were delighted to receive the brand new badges and are wearing them with pride. Many more are keen to be nominated for the next awards. Keep working hard! Tomorrow evening we have our PTA meeting at 6pm and at 7pm we are hosting a transition meeting with Our Lady’s High School for the Parents of all P6 & P7 pupils. Mrs Sinclair and Mrs Donnachie will share information about the school and the experiences planned for the children when they transfer. Please try to ensure all children are represented at the meeting. 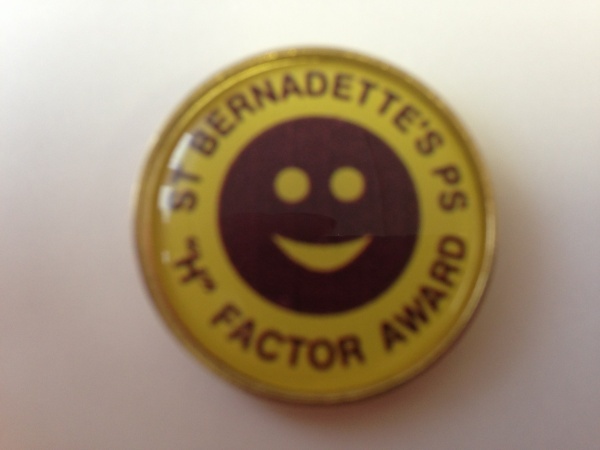 St Bernadette's Primary School is a Roman Catholic school situated in the community of North Motherwell. New dates for your diary! Andrina waldron on Outstanding Achievement! Mrs McLaughlin on Outstanding Achievement!